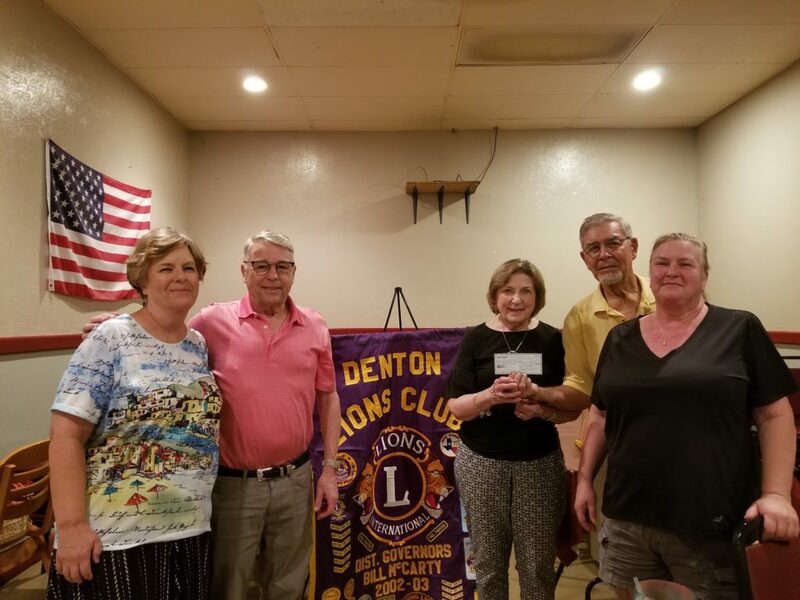 On July 9, 2018, Betty Jane and George Morrison made a presentation about New Beginnings to the Denton Lions Club. Following the presentation, the Club presented New Beginnings: The Betty Jane Morrison Foundation For Homeless Children a check for $500. From left to right: Elizabeth Dierdorf, Secretary, Denton Lions Club; George Morrison, CEO New Beginnings; Betty Jane Morrison, Secretary/Treasurer, New Beginnings; Glenn Reeves, President, Denton Lions Club; and Chrisanne Carrington, Immediate Past President, Denton Lions Club.